Hey guys! Today I have a few of the Sally Hansen Complete Salon Manicure line of colors to share, and I combined them with some of the Sally Hansen Crackle polishes. This is a very pretty cherry-red shade of polish. The application was quite nice. The wide brush had a definite learning curve but worked out well for me once I got the hang of it. 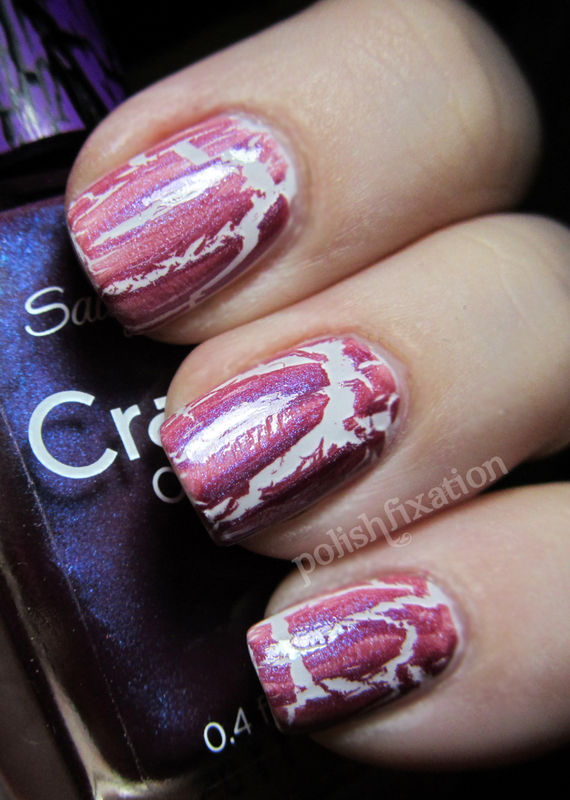 The problem I did have with this particular shade was that it took me 4 coats to achieve the pictured look. That is quite a lot for a red creme polish. I still can see some VNL in my pics as well, though you couldn't see it in person after the 4th coat. Maybe with slightly thicker coats you could get away with three, but certainly not less than that. 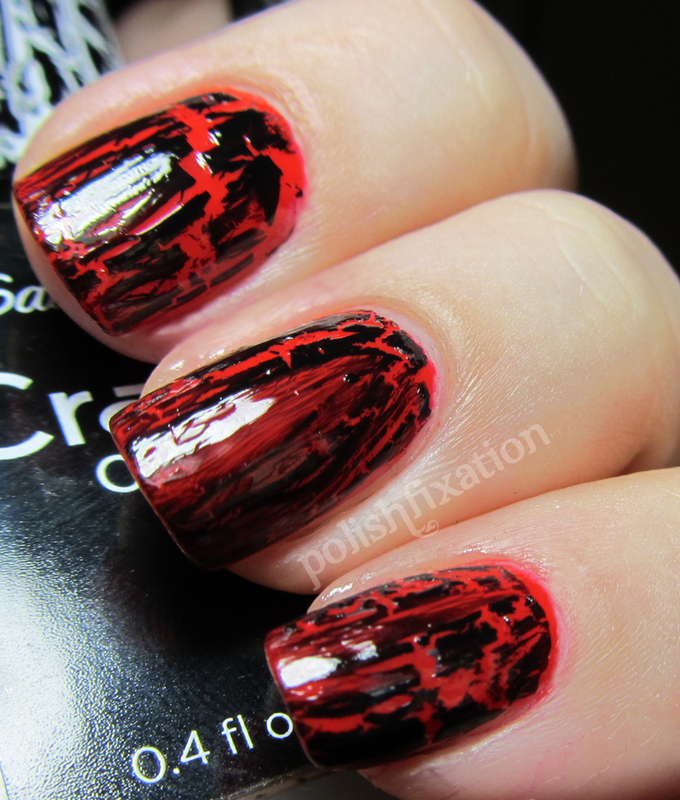 This crackle polish worked very well and I really like how the black and red combo works out, it's classic but still very cool. This picture also includes a layer of topcoat, as crackle polish tends to dry a little bit dull (Not just this brand but most brands I have tried). This polish is actually very close to being white, though you can see a small hint of the lavender color if you look closely. This polish applied very nicely and only in two coats. For a "white" shade that is pretty good, it wasn't streaky at all. I might actually use this polish as a white base when I water marble, as I really liked it and it's close enough to being white for my purposes. Vintage Violet crackle polish was a little on the thin side for my taste, as you can see it applies as a very pinkish purple due to being thin. 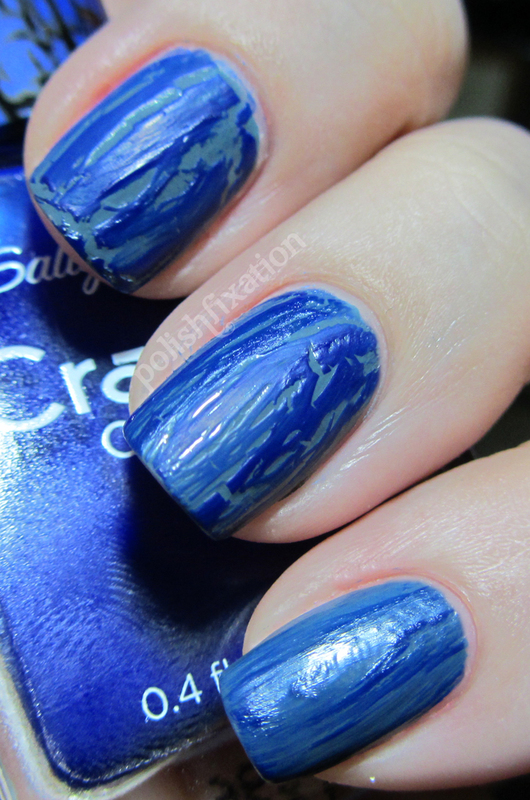 It did crackle very nicely however, and it has a pretty shimmer to it which makes it kind of unique. I enjoyed this combo, but not as much as the black/red pictured above. Gray by Gray is a blue-grey shade creme. The formula was pretty good, and I only needed two coats for the pictured look. The brush I had was a little stiff and was kinda dragging the polish a little, but I think that was just a defect in my bottle and not something everyone would have to worry about. I really enjoy this color! I was most excited to try the Distressed Denim crackle and after getting up to it, I have to say I was a little disappointed. Of all the crackles I tried, this one was the most stubborn, as you can see by looking at the pinky finger. First it was kind of thick and I needed to shake it up very well. It applied OK on the middle finger, but it wasn't as consistent as I would have liked. I will give it another shot in the future because I think the color is very pretty and sometimes crackle is a bit temperamental. Overall my experience with these products was pretty good. Some of them were definitely better than others, but over all I would recommend either of these product lines as worth trying out. Sally Hansen offers a very wide range of colors so there is something for everyone. They are also always coming out with new colors and lines of polish, so keep your eyes open at your local drug stores and beauty supplies to see the latest additions. What do you think of these combos? 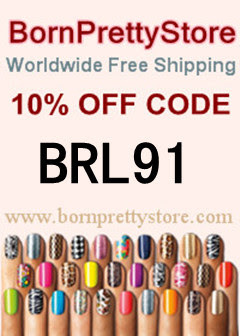 Do you like Sally Hansen Products? I really like the red! It seems not to be to dark or bright it's just right! I have lc and I use it all the time under my polishes that need that boost. I like Gray by Gray! You have inspired me to crackle today. I love the results of the middle one! !